The Indus or Harappan civilization, whose mature period dated from roughly 2550 B.C. to 1750 B.C., is known exclusively from excavated sites located over a wide band of territory running some 300 miles to both east and west of the present India-Pakistan border, from the Punjab to the Arabian Sea. In spite of a complexity of urban development at the two largest sites, Mohenjo-daro and Harappa, not reached elsewhere until much later times, remains of artistic interest are rare, with the exception of little terracotta and steatite sculptures of animals, notably bulls. 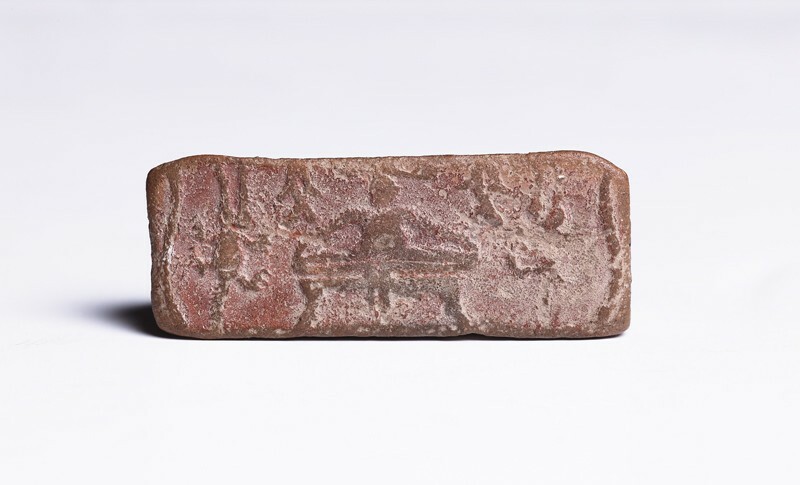 Of even greater artistic merit are the animal figures, along with short inscriptions in the as yet undeciphered script, on the steatite seals found in great numbers. These prefigure the great skill and sympathy in depicting animals which the Indian artist has never failed to show over the ages during the long course of Indian art. Datings of the civilization originally made from the Mesopotamian parallels, are now based on calibrated radiocarbon tests. Sealings (the impress made by the seal) such as this one are much rarer than seals. On one face of the prism a male figure sites on a throne or dais, in a “yogic” pose. Several seals show a figure seated in a similar way: one of the most elaborate and best known of these, probably animal-headed and ithyphallic, and with a horned headdress, sits surrounded by animals, prompting an identification as a proto-Śiva in a form known as Paśu-pati, “lord of beasts”. This designation is only attested in the historical period, but it has been adduced as one of the principal pieces of evidence for a direct link between the religion of the Indus civilization and later Hinduism. While some other aspects of the civilization do suggest a link, what may have been provision for ritual bathing, for example, and the presence of fire-altars, it has not been proved. What has not been pointed out, moreover, is that the “yogic” pose of all these Indus civilization figures, with the feet placed sole to sole, is indeed employed in yoga but is rarely depicted in later Indian sculpture (see no.52) [EA1980.64]. 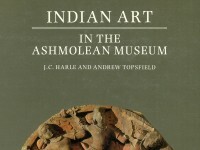 The Ashmolean’s figure is flanked by a gharial and a fish on one side; what appears on the other side cannot be distinguished. Another facet has five characters in the Indus script. The third bears a bull-like animal. This three-sided sealing depicts a male cult figure seated in a yogic posture on a throne, a bull-like animal, and five characters in the Indus script.